Enjoying spectacular views of the Caribbean Sea and set in an acre of gently sloping landscaped gardens, Calliaqua is a stunning Gillespie and Steel designed house occupying a prime position on the exclusive Sugar Hill Resort Community. Elegantly furnished throughout, Calliaqua's covered full length terrace and balcony encourage an informal outdoor lifestyle where guests are cooled by the breeze and soothed by the natural coral stone walls and stylish Italian marble tiles. Calliaqua's elevated location, panoramic views and exceptional quality of accommodation combined with Sugar Hill's top flight recreational amenities and the exclusive facilities at the pretty Suga-Suga beach make for an exotic and varied Caribbean holiday cocktail ! The generously proportioned covered outdoor terrace is probably the focal point of life at Calliaqua. At one end is a luxurious arrangement of wicker sofas and chairs and, at the other, a feature coral stone dining table under a crystal chandelier. After dark, Calliaqua's imaginative lighting makes for a magical and romantic atmosphere. Steps from the terrace lead down to a beautifully designed 1000 sq. foot mosaic tiled pool, complete with mini waterfalls. Sun loungers and umbrellas are scattered around the spacious pool deck and a pool gazebo offers a bar (with fridge), informal dining arrangements and the perfect venue for sipping a cooling rum punch whilst watching those glorious bajan sunsets unfolding at the end of a tough day ! The pool deck also benefits from a discreet speaker configuration which is linked to a central state of the art CD system which also serves the terrace and living areas. French doors from the terrace flow back into the main internal living space which is large, light and airy and exquisitively furnished with high ceilings, marble tiles and coral stone walls enhancing Calliaqua's feeling of tranquillity and colonial style. Calliaqua has 4 en-suite, air-conditioned bedrooms, attractively furnished but each with a distinctive individual style and featuring a separate dressing room within the master bedroom suite. French doors open directly onto the balcony from the 3 upstairs bedrooms where comfortable ottomans are perfect for relaxation and enjoyment of the stunning sea views. Downstairs, the charming bedroom 4 ( the "parrot" room!) doubles as a study, with sofa bed, TV and DVD ( US and UK compatible) and a separate telephone line for PC/ Internet access for those with laptops. The scope and flexibility of accommodation at Calliaqua is enhanced by a delightful guest cottage with double bed, en-suite bathroom, a small kitchen area and its own small patio area overlooking the pool. Calliaqua comes with a spacious kitchen, fully equipped with high quality appliances. The house is run by trained staff, including Cook / Housekeeper and Maid, and additional staff can be made available on request. Guests at Calliaqua will have full use of Sugar Hill's extensive facilities, including clubhouse, 2000 sq. foot negative edge pool, air conditioned gym and the world class David Lloyd Tennis Centre featuring 4 floodlit courts, with coaching available at an additional cost. Sugar Hill also benefits from a security controlled entrance and 24 hour security patrols. Guests also have access to the exclusive members area at the delightful Suga-Suga Beach, which is 10 minutes drive away and offers a selection of water sports at discounted rates, including water skiing, hobie cat sailing, kayaking, boat trips and swimming with turtles. 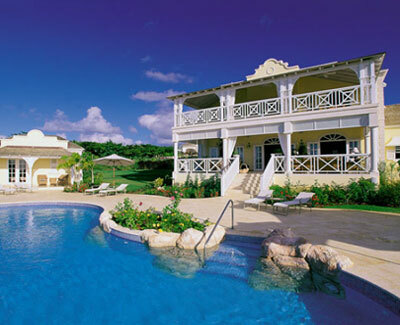 Suga-Suga also offers sun beds, a private beach deck, restaurant/ Beach bar and spa facilities. This property can be rented a either 4 or 5 bedroom house. Rate does not change.